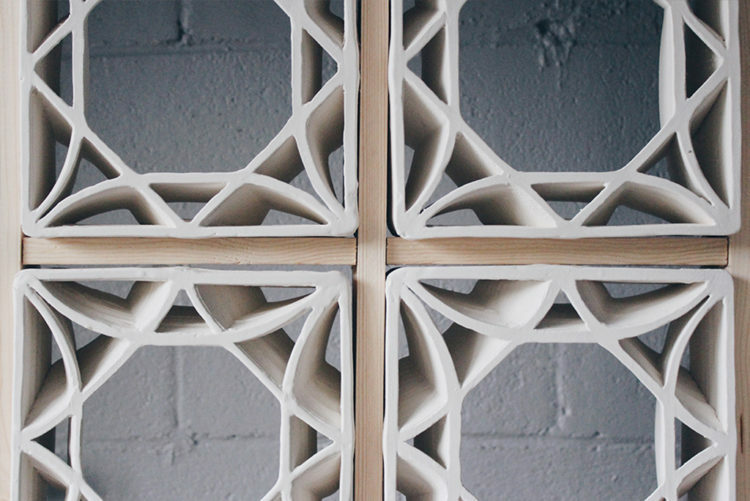 Brian Peters established the company Building Bytes, which fabricates striking 3D printed bricks for architectural applications. 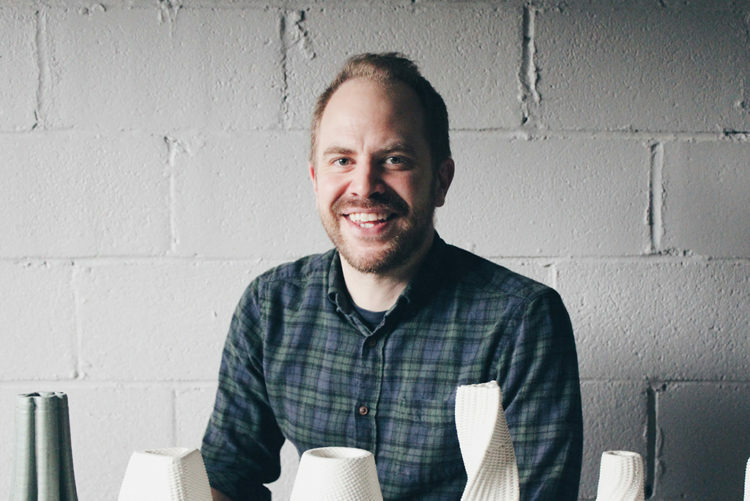 After working at the intersection of architecture, art, design, and fabrication, Peters developed an interest in a new layer of work — creating beautiful home goods that are digitally designed and fabricated while blending tradition with the artistry. While the architectural bricks were attractive and innovative, he wanted to produce items that appeal to a wider audience and ones that many people could afford to display in their homes. From this, Coded Clay was born. Brian Peters of Coded Clay with his creations. Launched earlier this year, Coded Clay debuted their first line, Strata, which features striking planters and vases in four different sizes. The idea is to accentuate and exploit the layers that occur naturally throughout the process, but also to create a product that has the look of a handwoven textile. Many of the patterns are also inspired by ones that occur logically in nature, such as the Fibonacci series of numbers which creates unique patterns found in everything from sunflowers to hurricanes and galaxies. “The pieces are very new and are truly unique, combining new technology with traditional ceramic work,” says Peters. 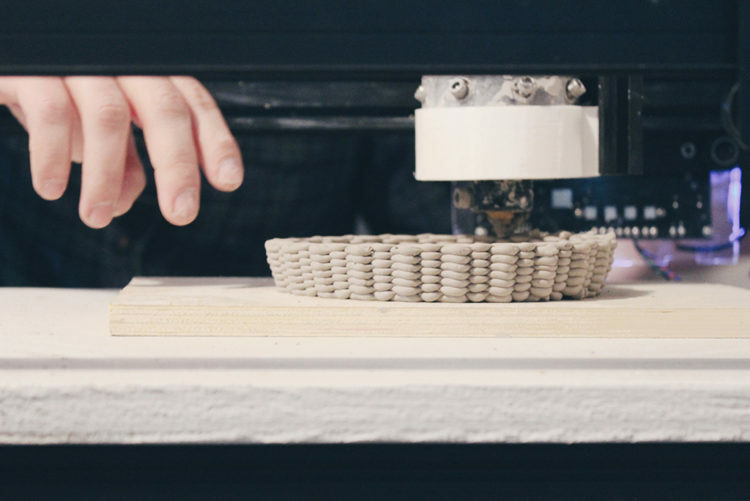 “While the design and fabrication are digital, there is still an incredible amount of traditional ceramic skill included in the pieces. The pieces are created from white stoneware clay and are available with a raw unglazed exterior or in a variety of soft, pretty shades of glaze. 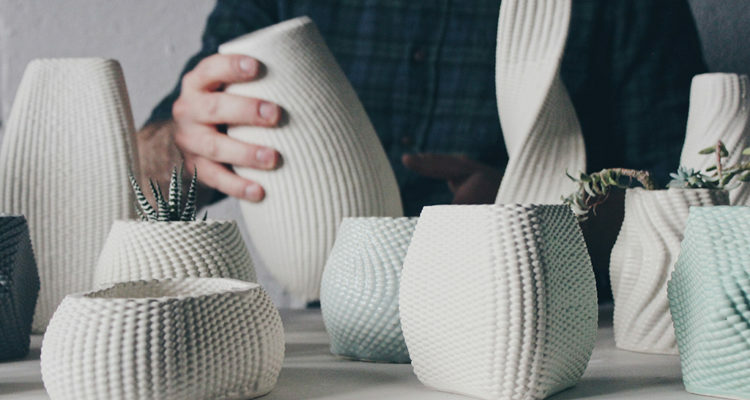 Another unique aspect of the pieces derived from the 3D printing process is the transfer of texture to the inside of each vase or planter, providing for a simple shape with exaggerated texture. Coded Clay items are available at PG&H, a new Downtown retail location that opened on October 17. 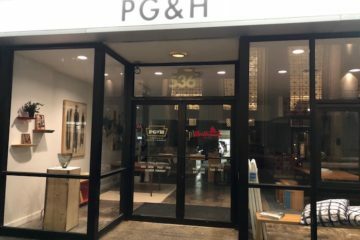 PG&H will join a growing number of Downtown retailers focused on locally produced items, including, Moop, love Pittsburgh, Steel City, among others. What is unique about PG&H is that the focus is solely on locally produced home goods. Not only a retail outpost, PG&H will also serve as an inspiration showroom inviting architects, designers, restauranteurs, and others to consider how to integrate locally made and high-quality products into their projects. The space, located at 536 Smithfield Street, below Mellon Square Park, will reinvigorate a well-traveled corridor with a showroom unlike any other. In addition to home goods by Coded Clay and more than 40 other local producers, the space will house the second location of Oakland’s much loved Redhawk Coffee, turning a lens towards another locally produced product. To learn more about PG&H, it’s producers, Redhawk coffee, and more visit ShopPGandH.com. 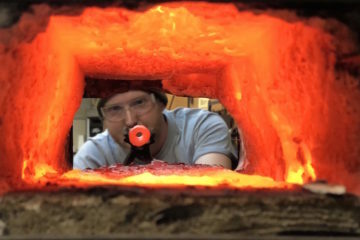 This is part of a series of sponsored content focusing on local makers in Pittsburgh who are being featured at PG&H. Look for another profile on a maker next month in NEXTpittsburgh.